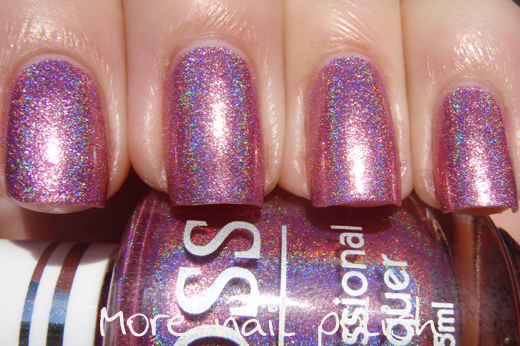 I was recently contacted by Beauty World, who make the JOSS line of professional nail lacquer, and asked if I would like to swatch and review their most recent collection of six polishes in the JOSS FX colours range. On Friday I received the box and opened it up to find six totally gorgeous polishes. I haven't been this excited about a collection of polishes like this since I received my Lynnderellas. I've got three of those colours to show you today. I've split it into two parts because I took so many picture of these stunners. 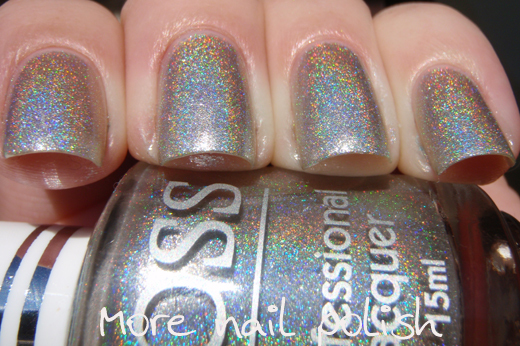 Diamond Flash - As you can see is a silver polish, but what I really love about this is that it is both holographic and a metallic foil. 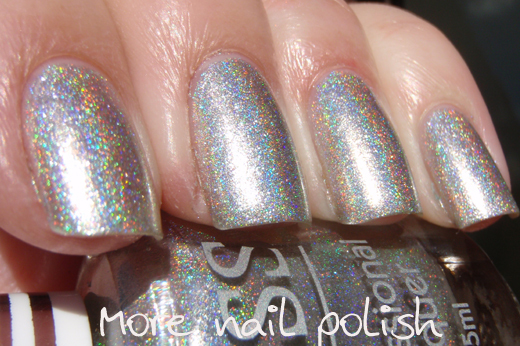 You know how most holo polishes look kind of dull indoors without light to make the holo reflect rainbows. 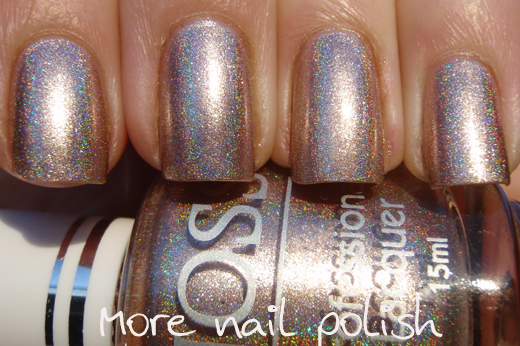 With these polishes, indoors (or in the shade) they are still very reflective foil polishes. 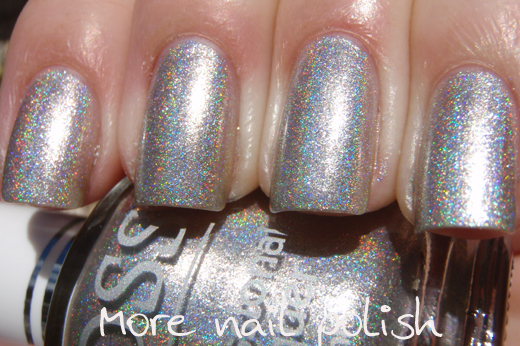 This was two coats of Diamond Flash topped with Seche Vite. 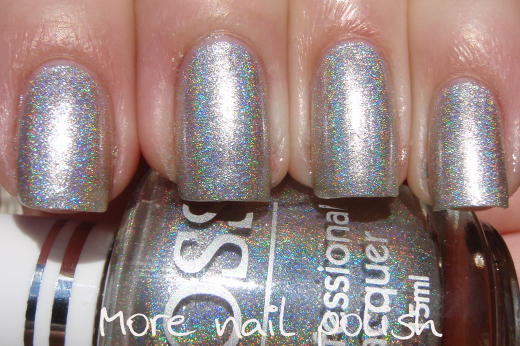 The top coat didn't dull the holo effect. 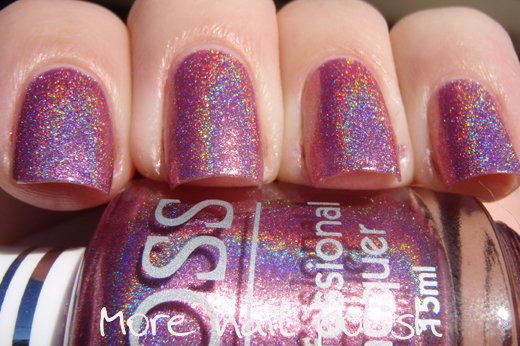 You also need to imagine the holo in these a litter stronger in real life. 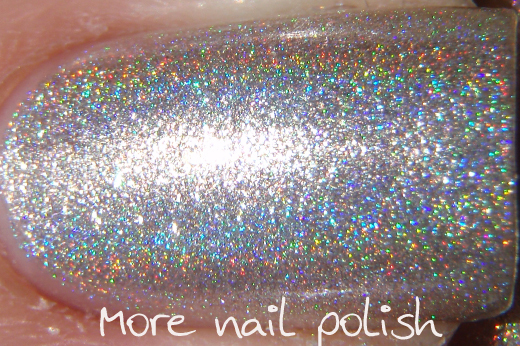 It was increadibly hard to capture the holo in the photos because of the amount of light bouncing back off the foil finish. So while silver holos are quite common, this one is actually rather unique in my collection because of the foil/holo combo. 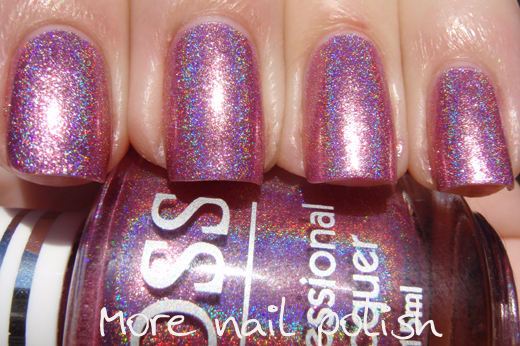 Flamingo Dancer - this one is a gorgeous pink version of Flash Diamond. 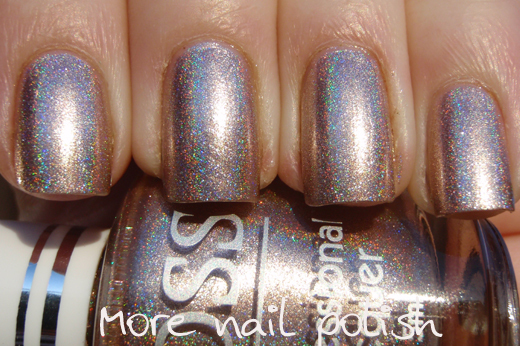 It has the same holo effect and the same metallic foil look indoors. 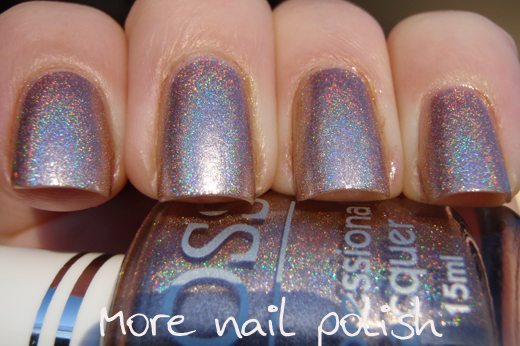 I do own a lot of holographic nail polishes, but finish wise, I don't have anything like this in my collection. 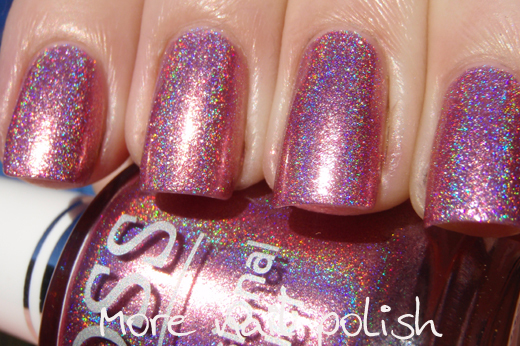 Colour wise, it is most like Ozotic 516 or HITS Hestia, but Flamingo Dancer is a little bluer. This was two coats of Flamingo Dancer topped with Seche Vite. Again, no dulling by a top coat. Tantastic Glow - This would be my favourite from this bunch. In fact it reminds me of one of my earliest (and favourtie) frankens "Mocca Magic", but this is better because of the stunning metallic foil look when there isn't strong lighting. Tantastic Glow is a cool toned, light tan colour. Its a really hard colour to describe, maybe a mushroom colour? But simply put, it's gorgeous and 100% a 'me' colour. You guessed it, this was two coats of Tantastic Glow topped with Seche Vite. Two words - LOVE IT! 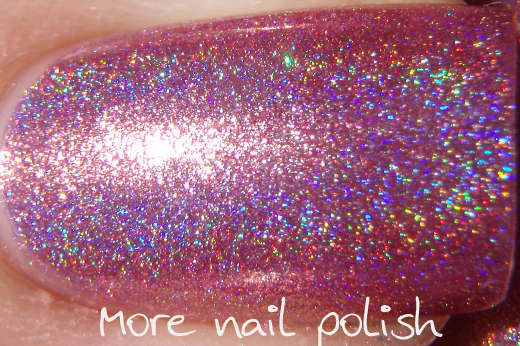 Aussie girls should be familiar with Beauty World, as I have posted before about their excellent Franken Polish resource on their website. 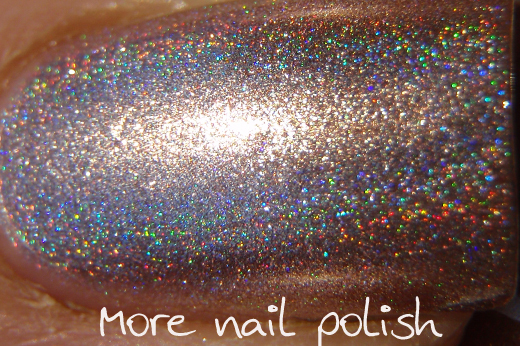 They sell untinted lacquer base (suspension base), bottles, solvent stable glitters and lots of other pigments. 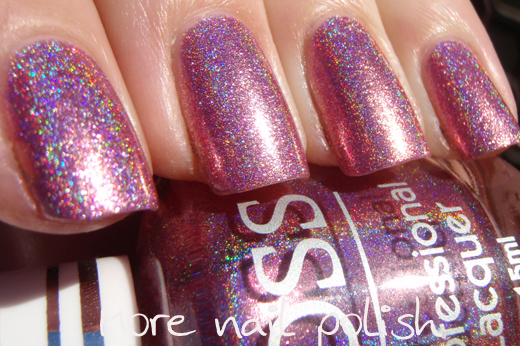 Beauty World sells these JOSS FX colours on their website for $9.95. However the Beauty World website has a minimum order amount of $110. But, they also have an amazing special on at the moment through their website. 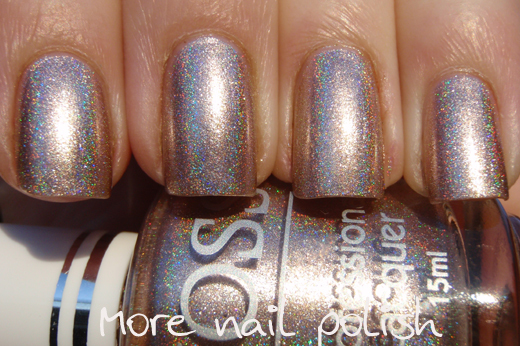 If you place an order before the end of June 2012, you will get six full sized JOSS polishes for free!! 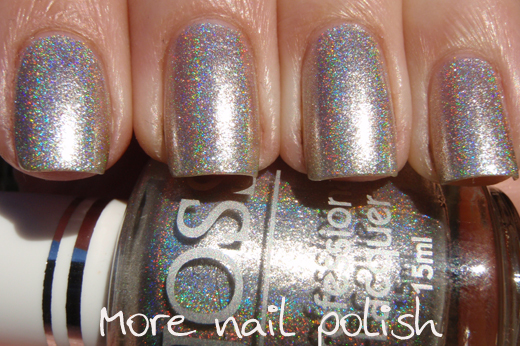 Ah ha, you read that right - 6 free polishes! If you are unable to place an order of more than $110, then Beauty World can still help you out. 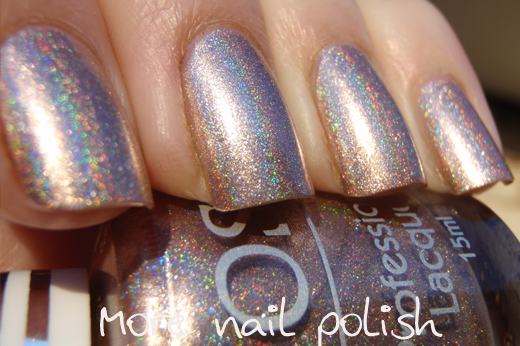 They have now set up a new facebook page called "Franken Nail Polish". You can purchase as little as one bottle from this site, although the single unit price is $2 more expensive at $11.95. Just click on the shopping cart that says 'Shop Now', to purchase through Facebook's new Payvment store functionality. So if you need some suspension base, glitters, bottles etc, you should order through the Beauty World site and get the polishes for $9.95 + 6 free polishes (and order a minimum of $110). Otherwise, head to the facebook page. Finally - the dagger in the heart for international ladies, these are not available for international shipping at this stage due to hazardous goods shipping. You really need to come back tomorrow to see the other three shade if you are thinking of placing an order - trust me, they are worth waiting another day for - But if you check out their website or facebook page, you can see a sneak peek of the next three. 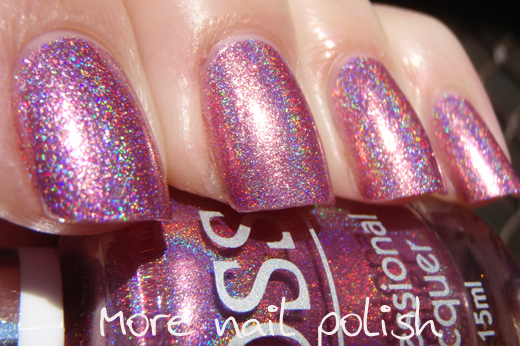 Hi Kitties, these enamels are beautiful :-)). Would be grateful to know if you know of any online store with international shipping. Thanks so much. Oh wow- those ARE gorgeous! 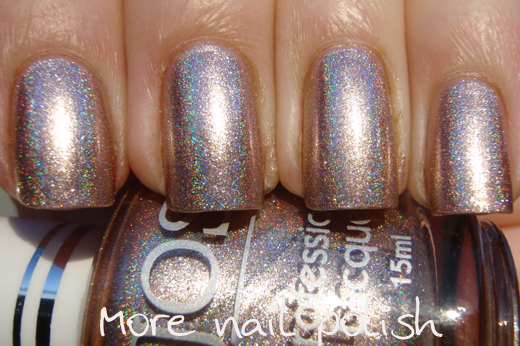 I am loving holos right now. 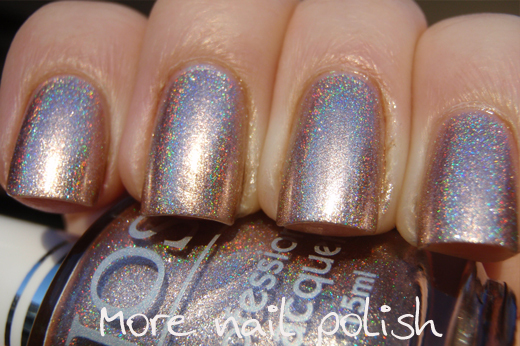 Mmm, beautiful yummy holo goodness! I can admire from afar. P.S. Congratulations on hitting the big 2000! Thank you! Whoo hoo - that jump up all of a sudden. Where did all you come from?